The last twenty years of the 19th century saw a marine store dealer followed by a metal dealer living here. John Millard was the marine store dealer. This was a person who dealt in scrap materials or junk! John came from Staffordshire and lived here with his wife Sarah and son William, who worked with him. The metal worker was Eli Millard who came from Dudley. 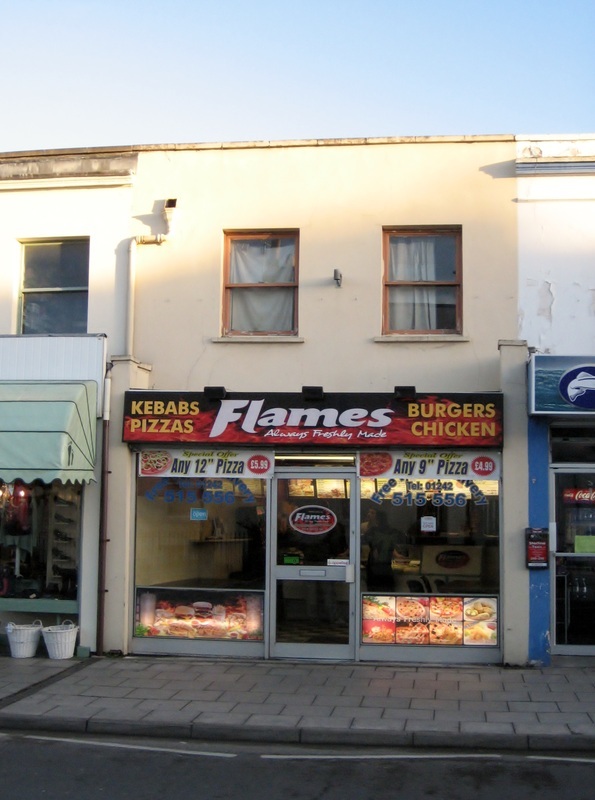 By 1903 the shop was owned by a branch of the Barrett family, who were well known market gardeners and greengrocers in Cheltenham. The business was initially owned by Josiah John Barrett, the elder brother of Albert, of 1 Waterloo Terrace. Josiah and his wife had three children and lived in Leckhampton Road. In 1914 he met with a tragic accident when a cyclist knocked him into the side of a tram that he was about to board in the dark and he later died of his injuries. After his brothers death, the business was continued by Albert, trading as A J Barrett, with Josiah’s son William managing the shop. He was helped by his son Raymond, one of whose messier tasks was boiling beetroot in the back room. Some of the produce sold in the shop, including cider, came from Collum End Farm in Leckhampton. In 1933 the shop and all of it's fittings were offered for sale and it was taken over by another greengrocer, Dan Loveridge. He initially traded under the name of the Cash Fruit Stores and after World War II as Loveridge Brothers. In 1946 Frank Loveridge bought 6 orchards in the Bishops Cleeve area to help supply the shop with fruit. The Loveridge family were here for 30 years. 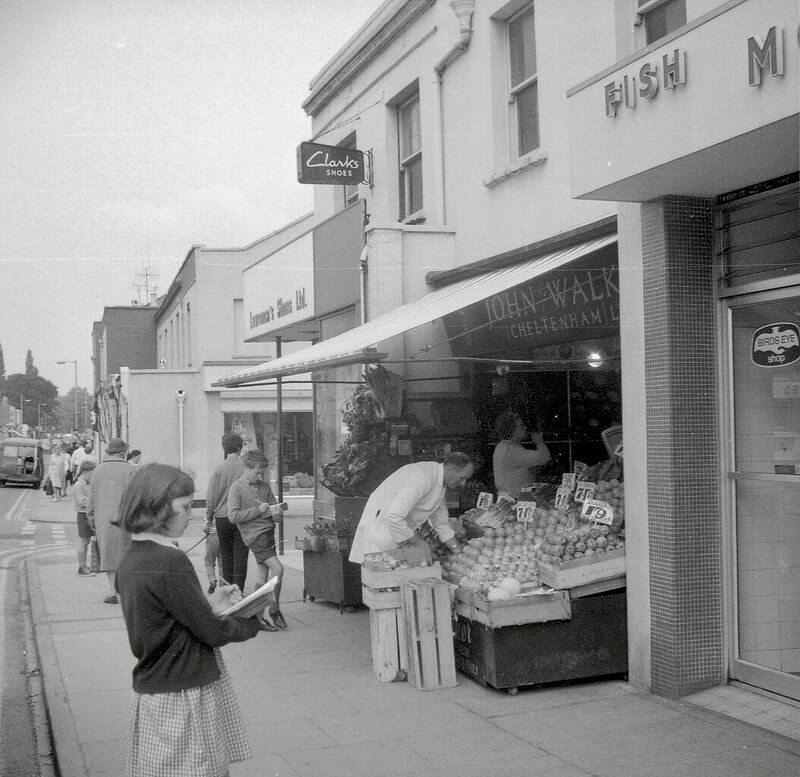 During the mid 60’s, John Walker a wholesale greengrocer and retailer bought the shop. They had other retail outlets in Cheltenham with their head office at Staverton. The shop closed in Bath Road in 1999, ending almost a century of the greengrocery trade on this site.